fall is here, and that means it's prime time for after-school treats, on-the-go snacks, football tailgates, and more. 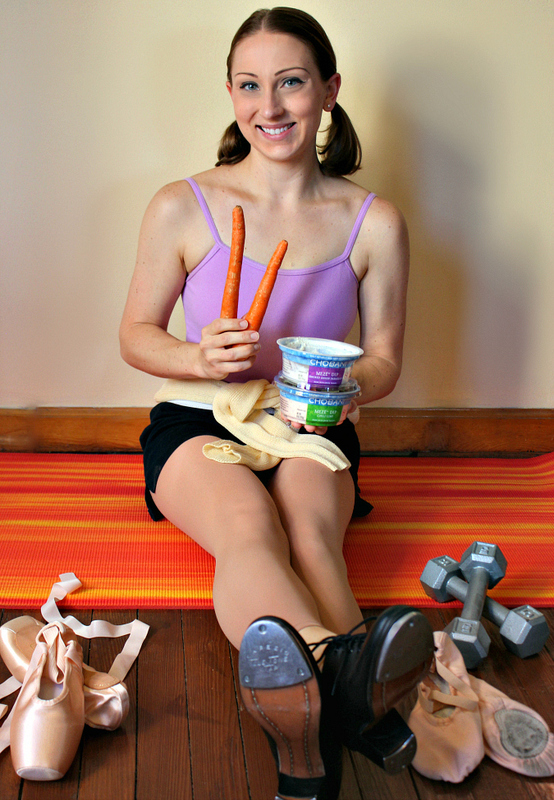 for me, the dance season has started back up again, and i'm always looking for snacks between dance classes, the gym, yoga, errands, work, etc. when you're reaching for snacks or looking for something to put out for guests, it's easy to fall into a rut with the same old "chips and dip" plate. in our house we're all about finding healthy substitutions, so we're teaming up with chobani today to offer some simple ways to dip healthier when it comes to snack time and party time this fall. we were thrilled when chobani introduced their savory meze dips this summer. we just love that they feature real veggies, herbs, and spices blended with creamy chobani greek yogurt. what's more is that they are made with only natural, non-GMO ingredients which makes us feel good about enjoying them! chobani's savory meze dips come in four flavors (roasted red pepper, three pepper salsa, chili lime, and smoked onion & parmesan) and we've tried all of them. ryan and i agree that the smoked onion & parmesan is our favorite. go ahead and change up the classic "chips and dip" plate and dip healthy this fall. substitute a meze dip for a traditional dip, and get dipping with some healthy alternatives to chips, pretzels, and crackers. here are some ideas to get you started . . .
That veggie plate looks so good. I have the afternoon munchies. I love your photo and I will have to see if I can find these dips in our Wegman's instead of hummus.